She blasts two home runs with four RBIs to lead the Chiefs to an 8-4 win over East Meadow. During the 2000 NLCS, Mets coach John Stearns was overheard on camera screaming “The monster is out of the cage!” toward slugger Mike Piazza. 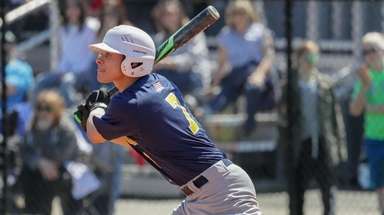 The Massapequa softball team has taken that sentiment to another level, with the players yelling “Fran-ken-smash” at No. 3 hitter Francesca Cuttitta at the plate. And similar to the nightmares Frankenstein creates, Cuttitta brings a similar feeling to opponents when she’s in the batter’s box. 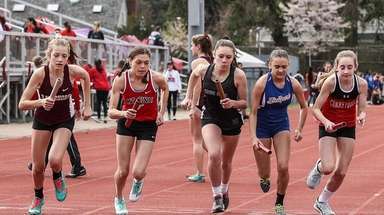 She displayed that with two home runs and four RBIs in Massapequa’s 8-4 victory over host East Meadow on Wednesday in a Nassau AA-I softball game. “Fran always hits dingers, so we just renamed her Frankensmash,” rightfielder Alexa Kanceler said. Cuttitta hit her first home run over the head of the centerfielder to drive in Jenna DeFina to give Massapequa a 2-0 lead in the first inning. 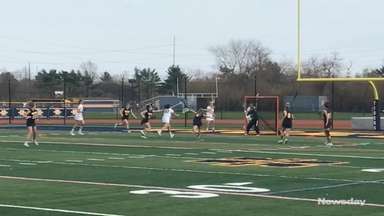 East Meadow took a 3-2 advantage after the third, highlighted by Julianna Sanzone’s double to drive in Jenna Laird and Amy Mallah’s single to drive in Sanzone after the Jets scored on an error in the first inning. 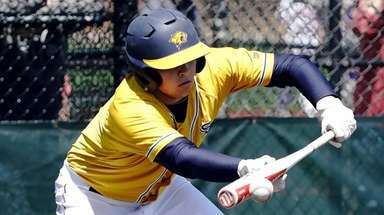 East Meadow (4-1) nearly extended its lead, but Kanceler made a game-saving defensive play after extending for a catch in rightfield in the fifth, likely saving a home run. In the top of the sixth, she lined a two-out, two-run single to drive in Olivia Howes and pinch-runner Kaitlyn Scognamiglio after Ellie Egher’s single to take a 4-3 lead. 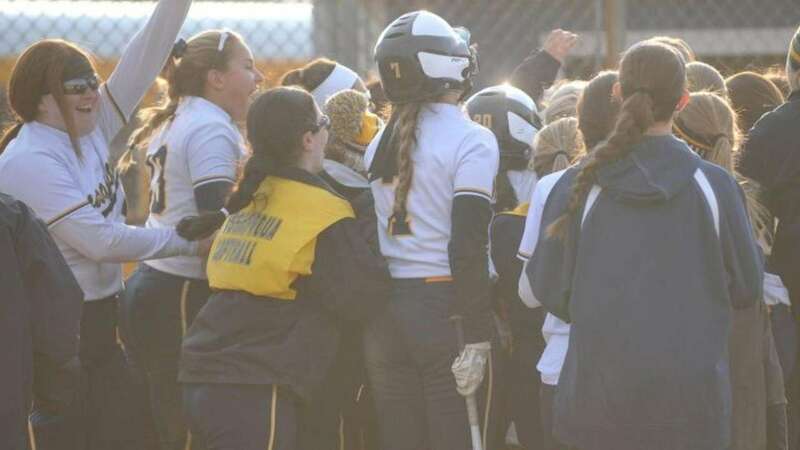 Massapequa (4-1) extended its lead in the seventh inning, with Jess Grillo’s two-run single driving in Julia Ruocchio and Mirren O’Mahony to take a 6-3 lead and Cuttitta followed with her second two-run home run in the next at-bat. 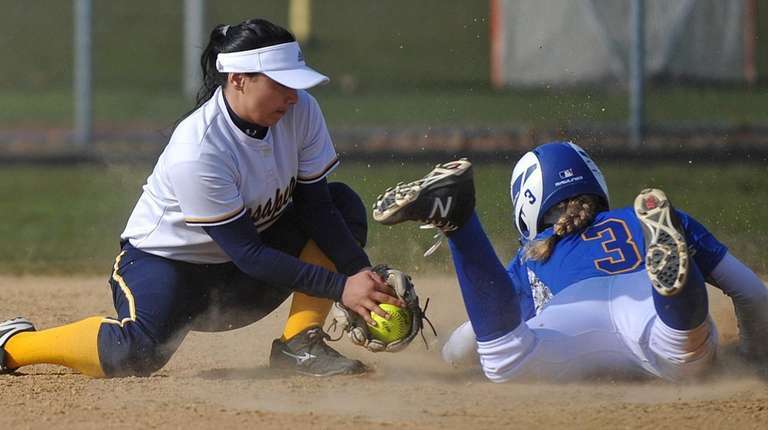 Julia Rodriguez recorded the win, allowing only one unearned run in four innings, as Cuttitta led the Chiefs to the victory over the defending Class AA state champions.